Perth is one of the most isolated cities in the world. A full 2,104 kilometers separate it from the next Australian city of more than 100,000 population (Adelaide). Situated on the banks of the stunning Swan River, the original settlement was known as the Swan River Colony. These days the city has a population of around 2 million people and is now a modern and vibrant city with attractions like Fremantle and Rottnest Island on its doorstep. We decided to do our own thing and just wander about, but there is a free daily guided walk from the tourist information centre located in Murray Street in the central business district for those who are interested in a bit more detail. We strolled through the central shopping mall and took the opportunity to for a bit of retail therapy. This fantastic retreat can be reached from the city on foot. There are many walking trails around the park. We explored a couple before taking some time to explore the botanical gardens, which are also located within the park. We saw our first boab tree here. This is the one that Emma’s parents were stuck behind on their last tour of the Kimberly. The tree still shows some scars from its transportation, but there is a sign advising that the arborists believe that it is healing well. 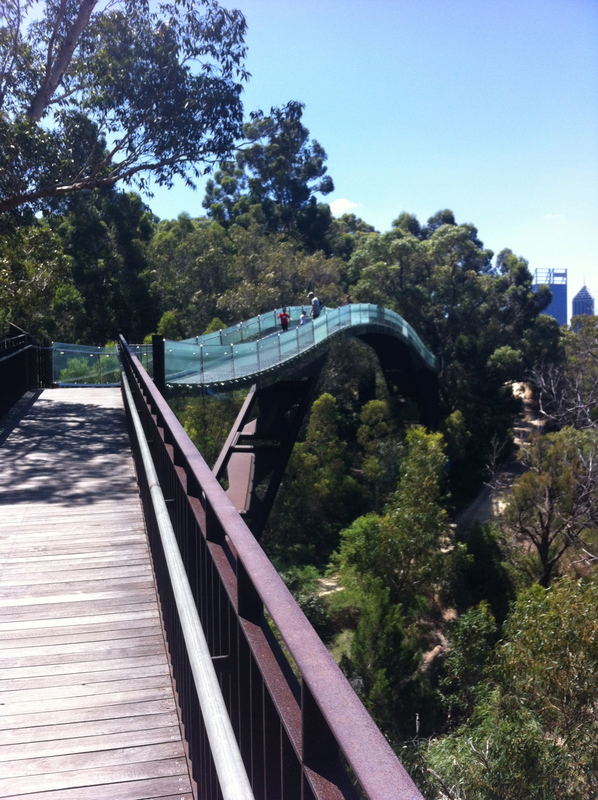 The botanical garden path takes you to the ‘tree top walk’ that provides amazing views over the Swan River. It was a very warm day and we were glad to take a break and grab a drink at the café before visiting the war memorial and honour avenue. There are 19 beaches in Perth, but we only checked out a couple of them. Emma was excited to learn that we would be in Perth whilst the Sculptures by the Sea exhibit was on. 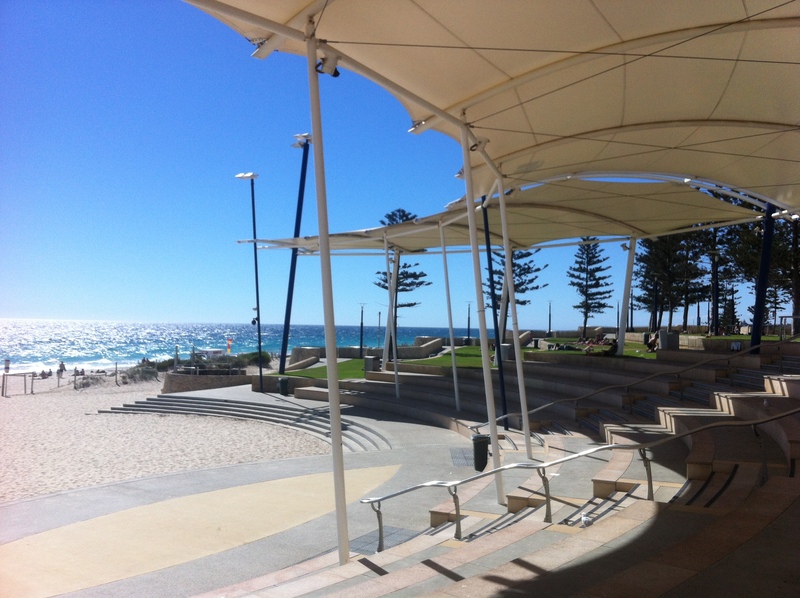 We visited Cottesloe beach late on afternoon to check them out. This exhibit is free to enter and is twinned with the Sculptures by the Sea exhibition held annually in Bondi, Sydney. After visiting the sculptures we headed slightly north to Scarborough. We found a restaurant on the sea front and had an early celebratory dinner of our upcoming wedding anniversary. After eating we grabbed an ice-cream and made us of the amazing amphitheater area overlooking the Indian Ocean and watched the sun set.